Ice applications are also helpful in dealing with acne conditions. We all want glowing and flawless skin and the first thing we are told to do is to have lots of water. Undoubtedly water has numerous benefits but do you know ice cubes also works wonder for skin if applied properly. 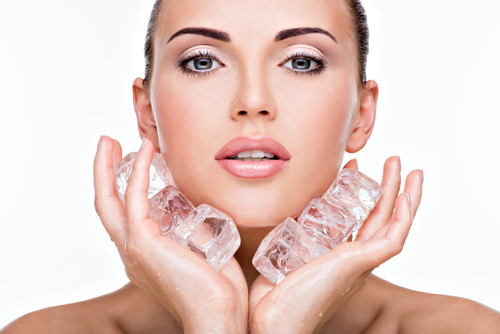 Here are some of the easiest ways to tone and refresh your skin with frozen water.